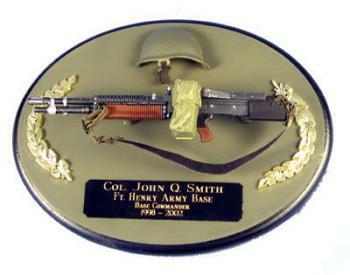 U.S. Army with M-60 [MGUN-202] - $52.50 : Metalcraft by Blair - military gifts and memoribilia. We are presenting another in a series of different style presentations in hope you will find the award or gift presentation that you like best or suits your occasion best. Notice that we have used both a black plate with gold letters and gold with black letters. your choice same price.